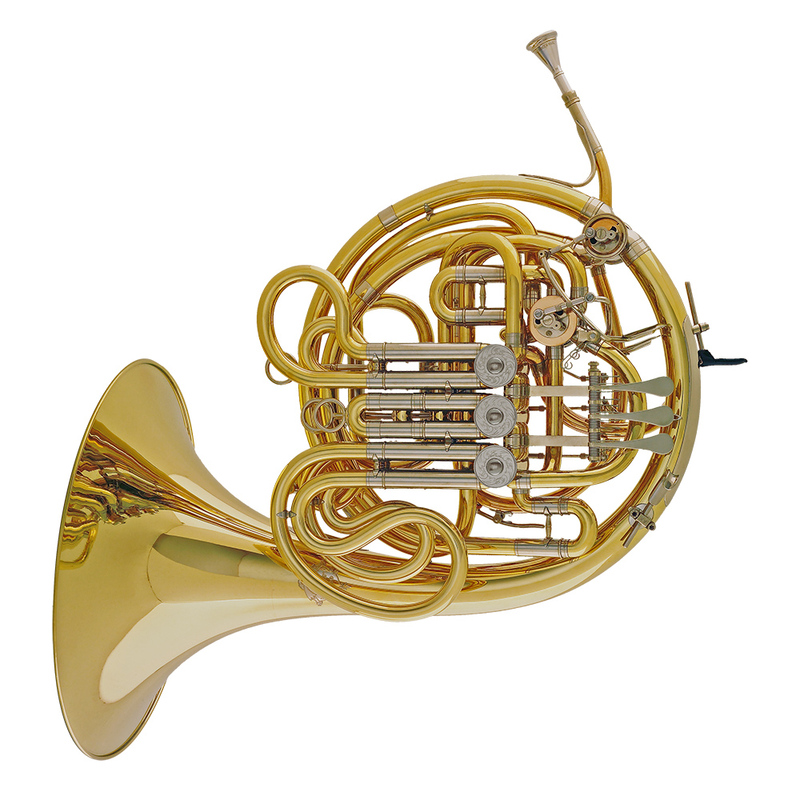 The completely new developed full triple horn Model 301 in F/Bb/high F closes a gap for professional horn players. Many hornists have been searching for a full triple horn with the sound characteristics of the famous Alexander Model 103. This was achieved by a solution which is quite brilliant and complex. The placement of a valve where the leadpipe meets the bell branch allows the high F horn to be incorporated into the successful design of Model 103. In this solution the advantageous characteristics of the Model 103 are fully maintained. The original dimensions are kept and the F/Bb change valve remains at its common place. The high F horn is optimized by a separate bell branch. The use of different bores is consciously avoided in order to retain the evenness of sound and articulation. With Model 301 the musician receives a reliable triple horn with the option of shifting to the high F horn for especially difficult passages. The transition from double horn to triple horn is made an effortless one.